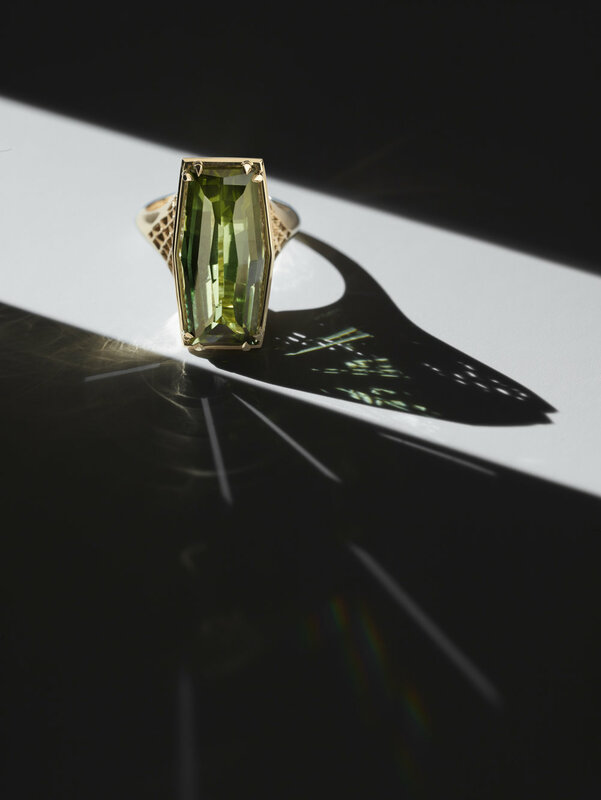 Modern architecture, details, windows, bridges: all meld together with this ring; the stone, a large tourmaline with unusually long facets takes centre stage. I wanted to enhance this ‘length’ by setting hidden diamonds under the stone, that are only visible through the stone when held in certain lights. 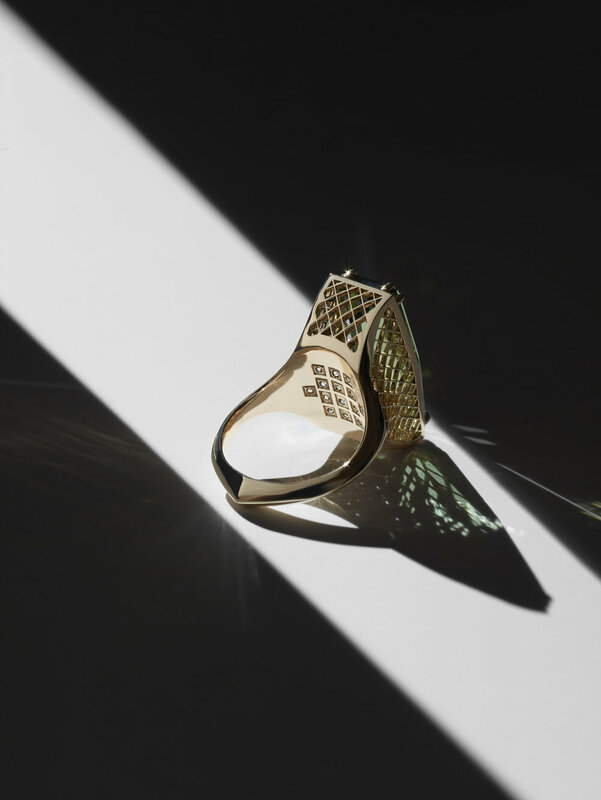 There is a simplicity to this ring, but the secreted detail is a treasure.